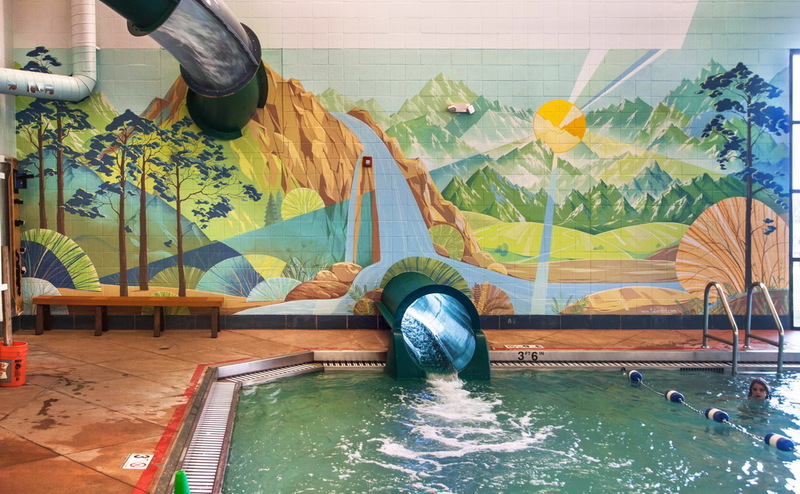 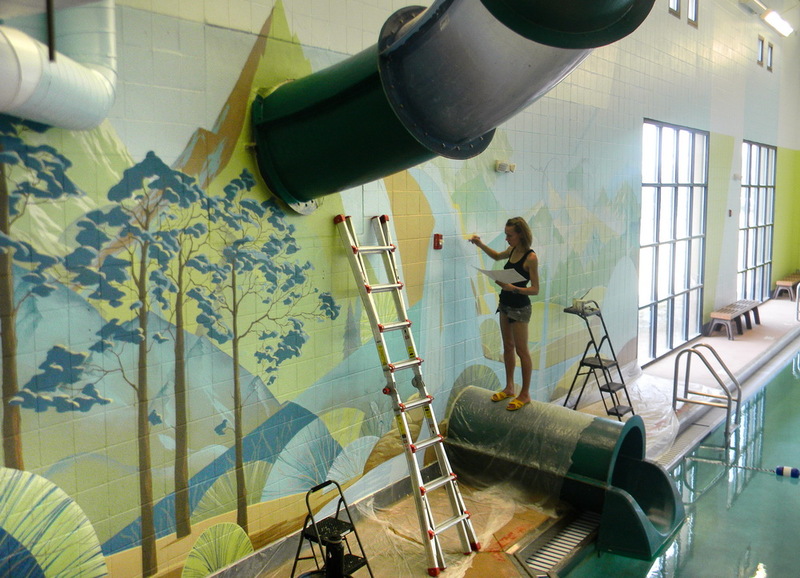 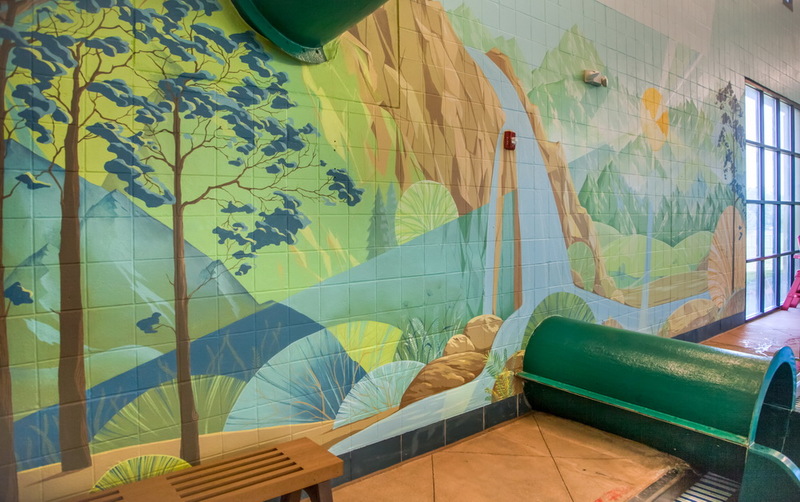 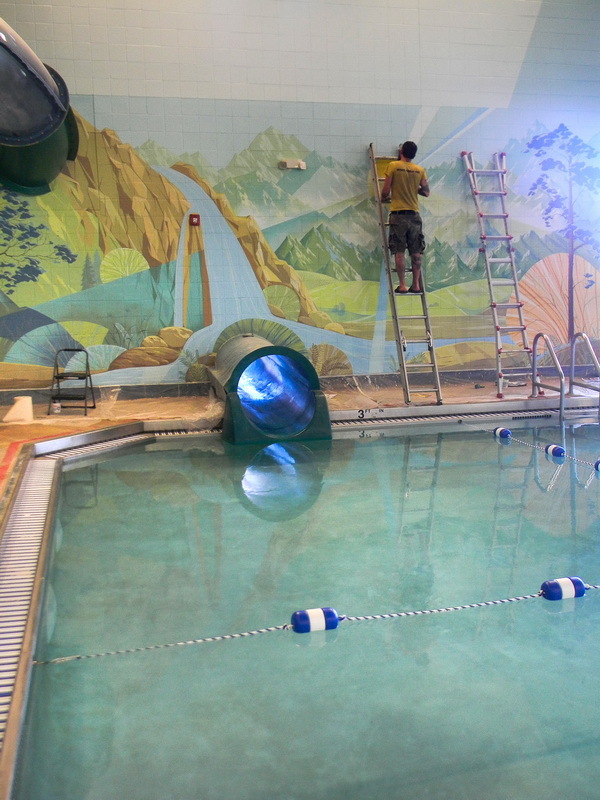 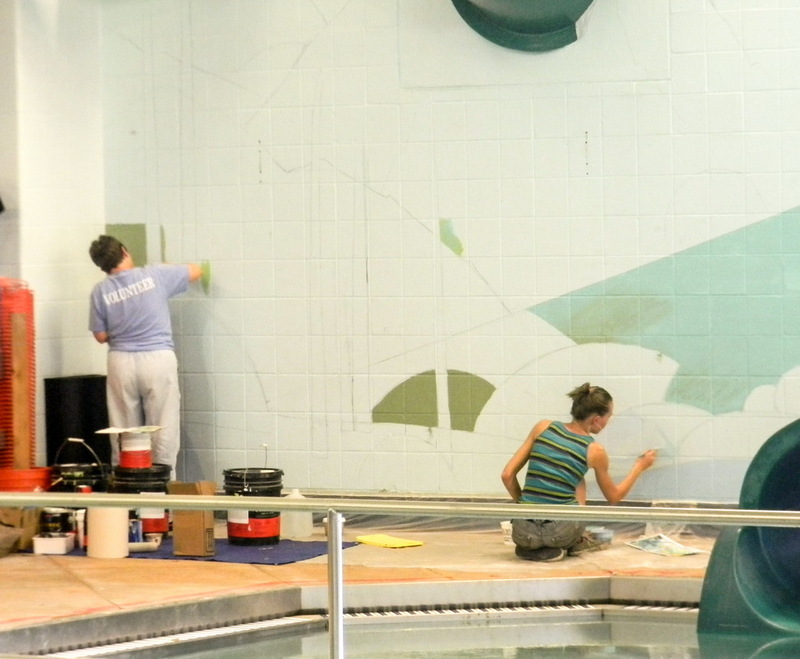 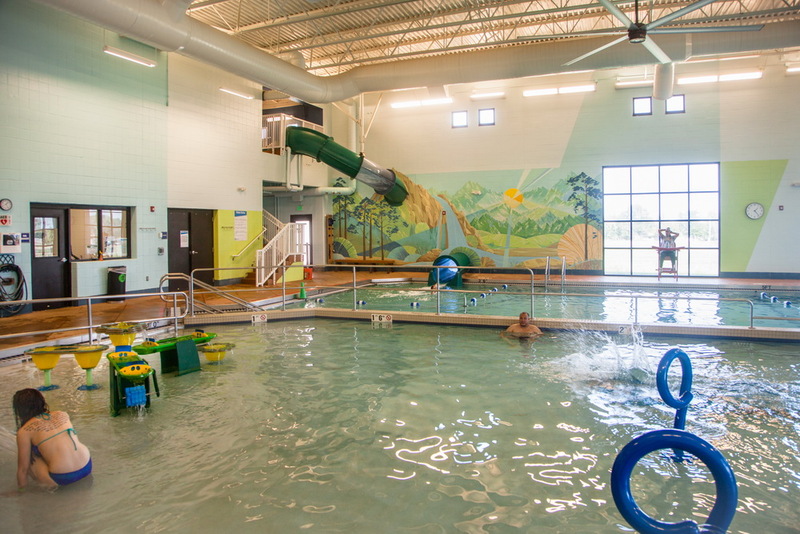 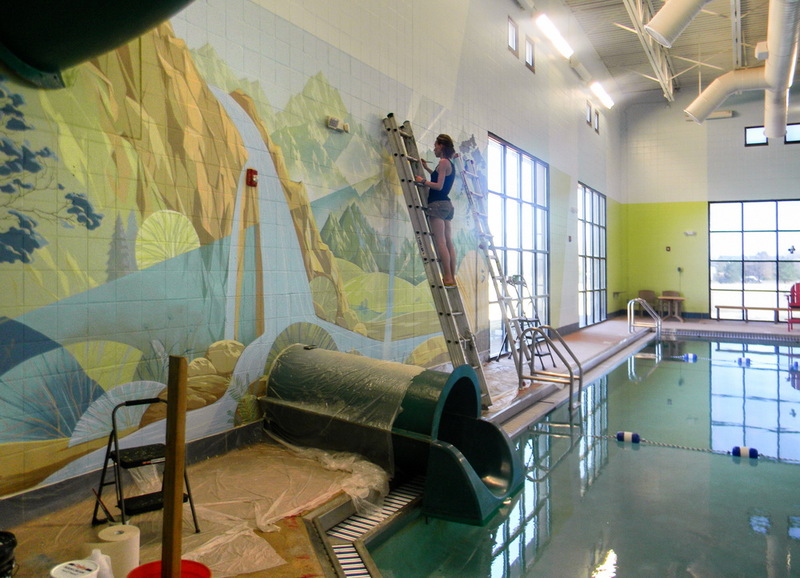 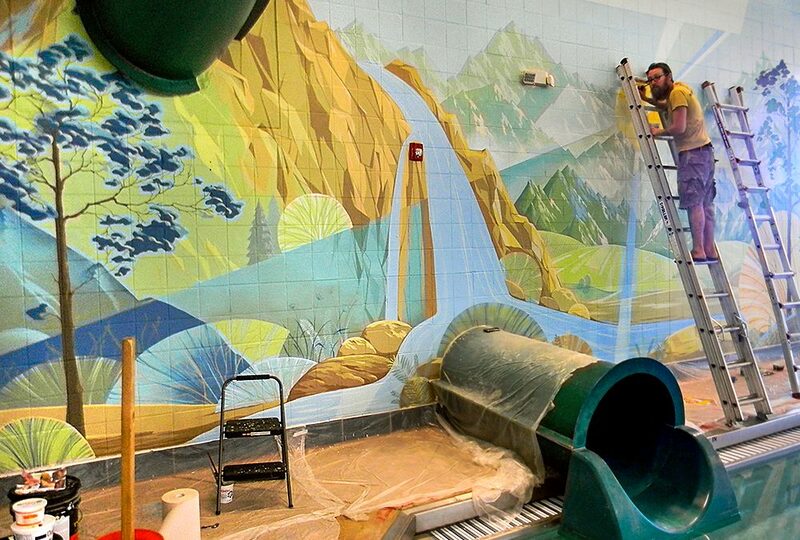 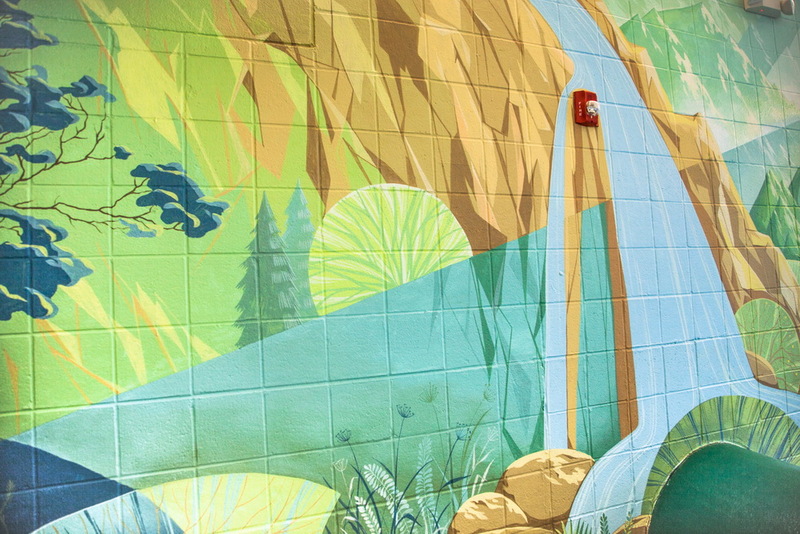 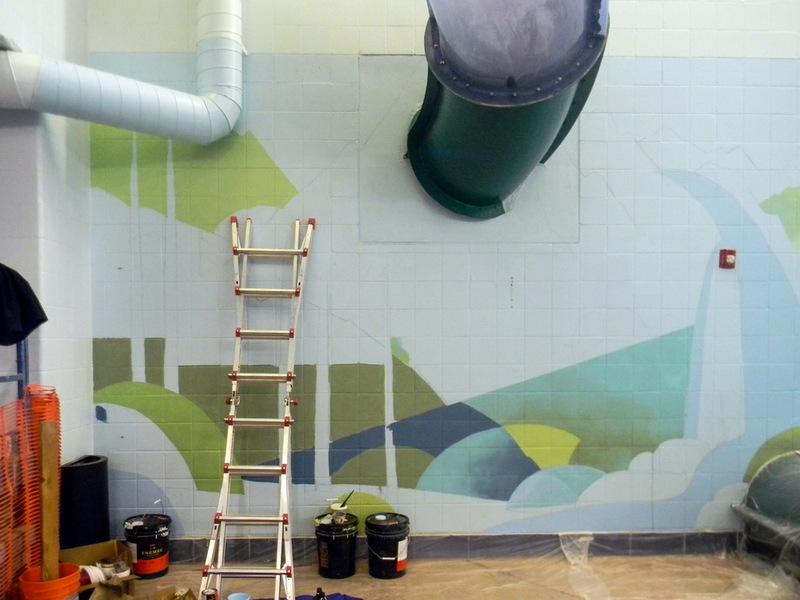 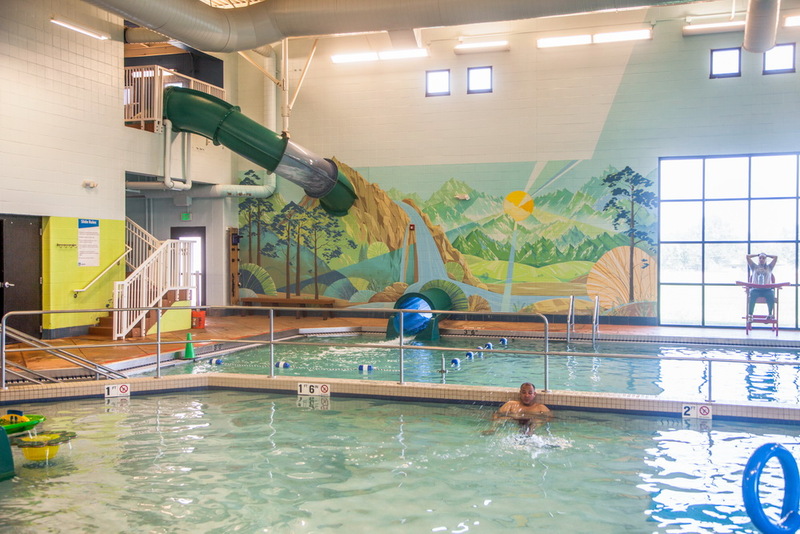 The Interior mural for Lakewood Link Recreation Center Swimming pool was created spring 2017.
to the substrate to resist moisture, abrasion, chemical attack and extreme temperatures. 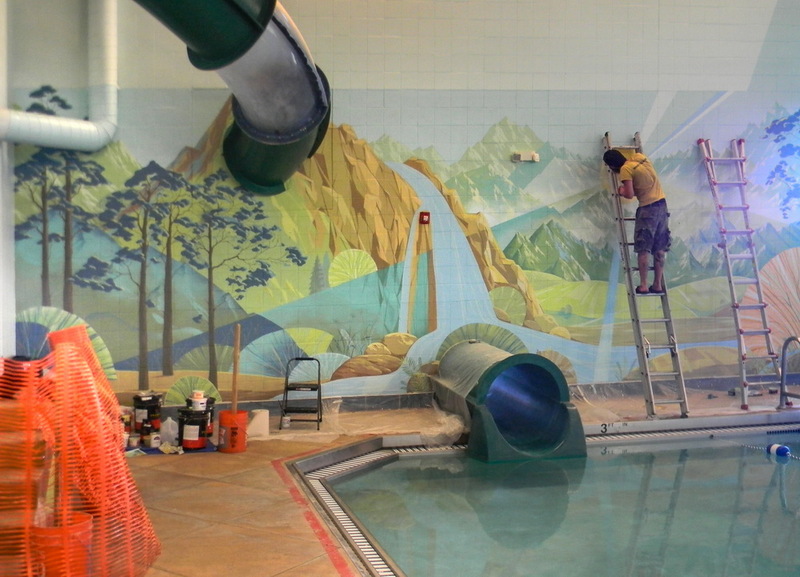 Tha mural was painted by me, with my husband, Nick Angelo. 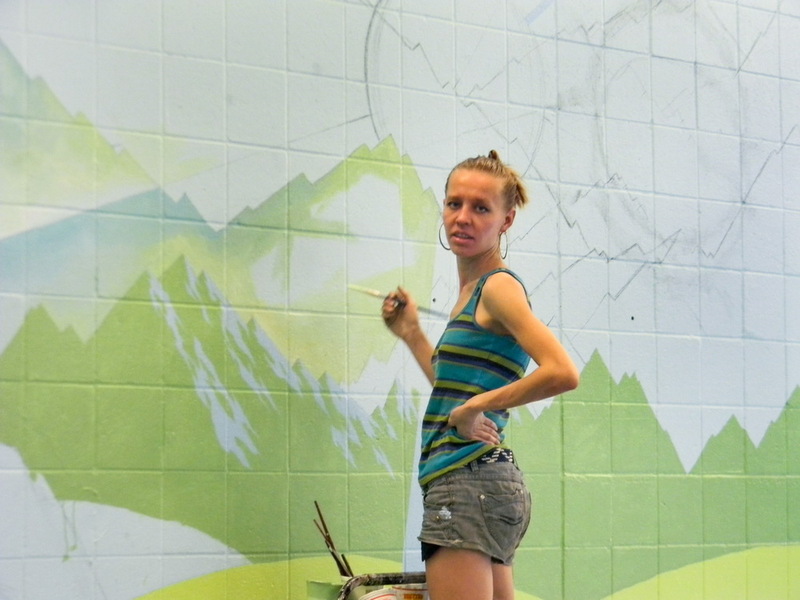 The first day two ladies from the Lakewood volunteer group were learning the techniques of mural painting. 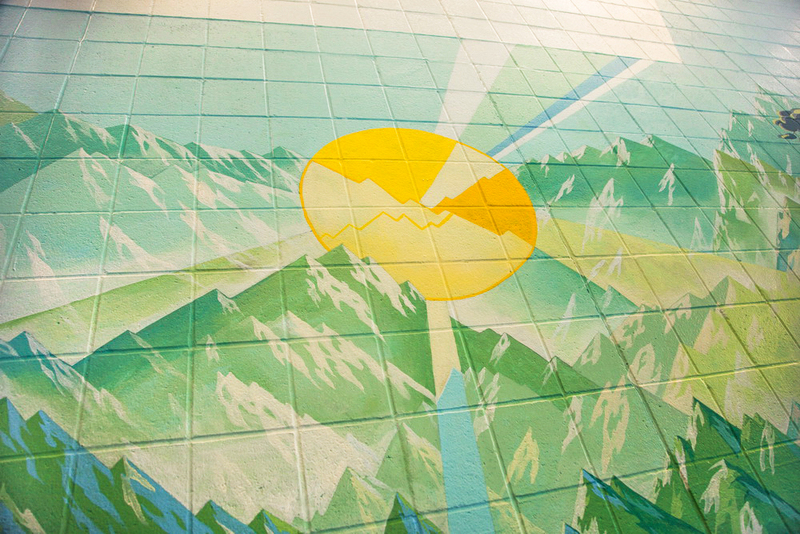 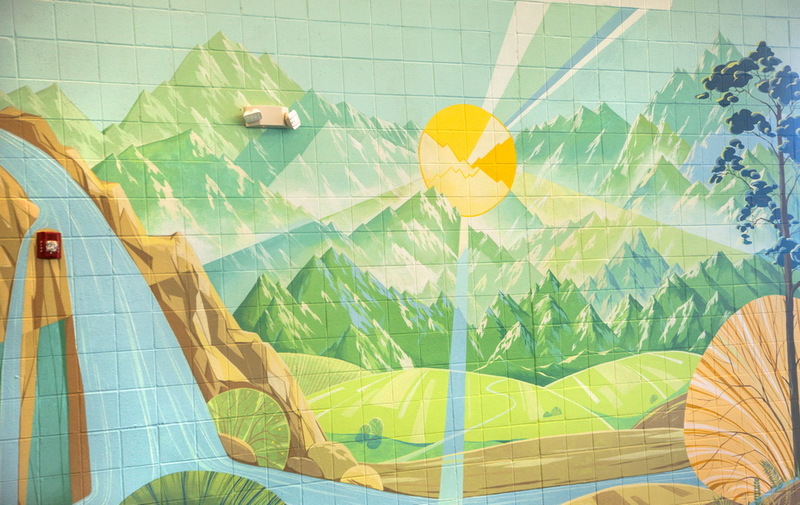 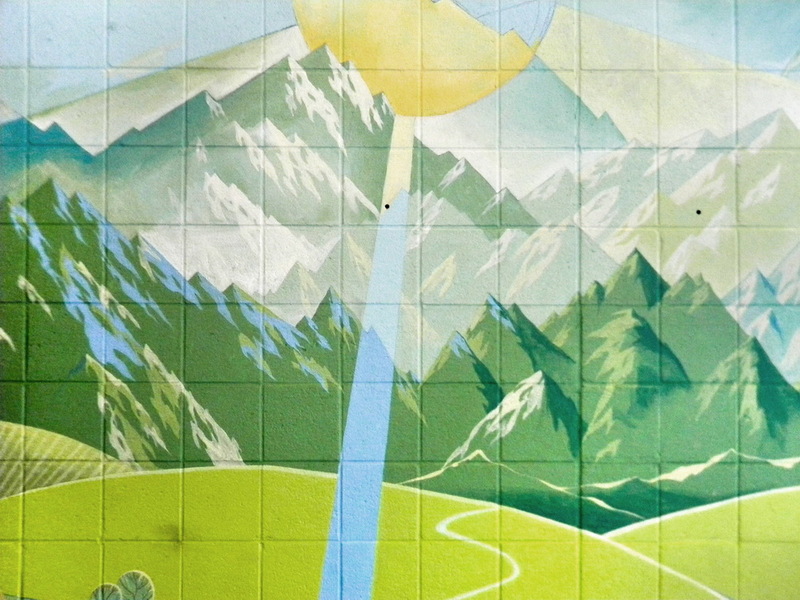 The Rocky Mountains and bright sun were the centerpieces of the mural. 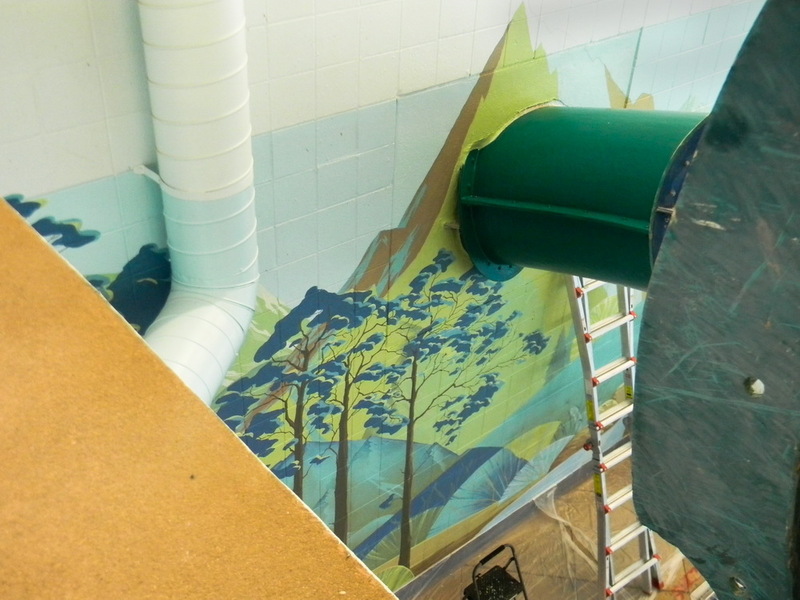 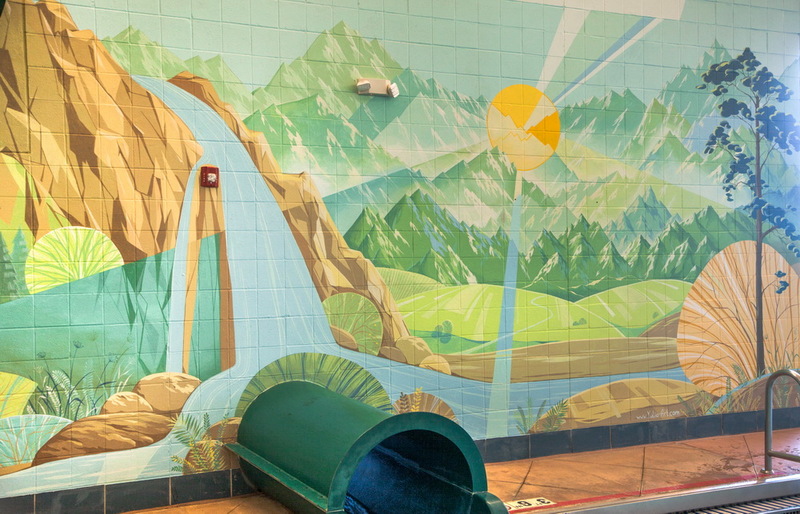 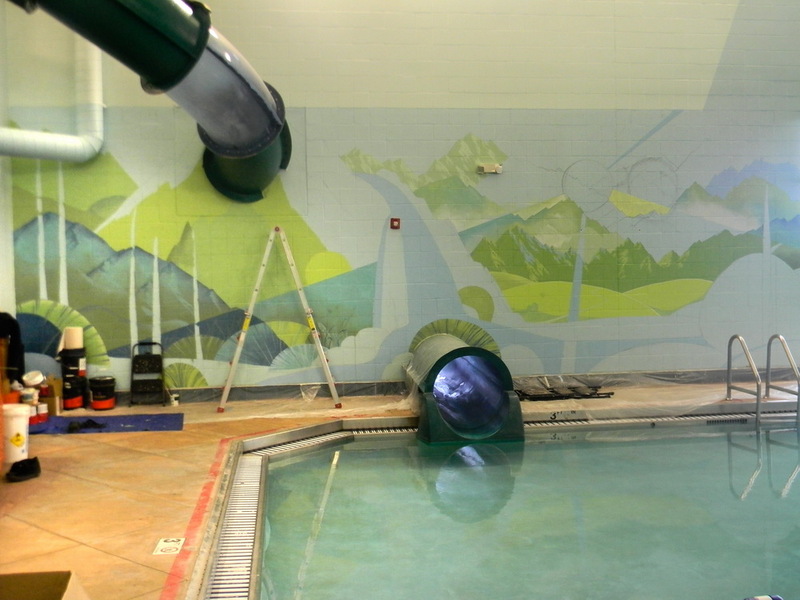 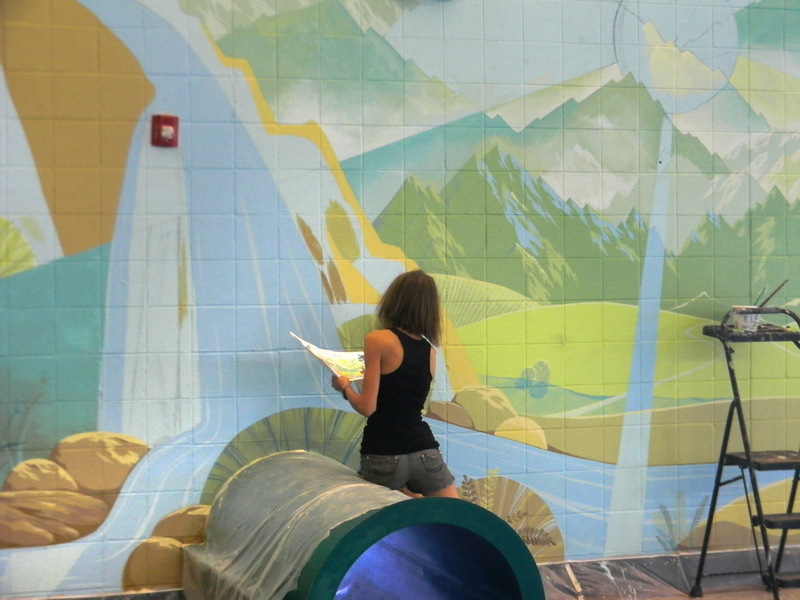 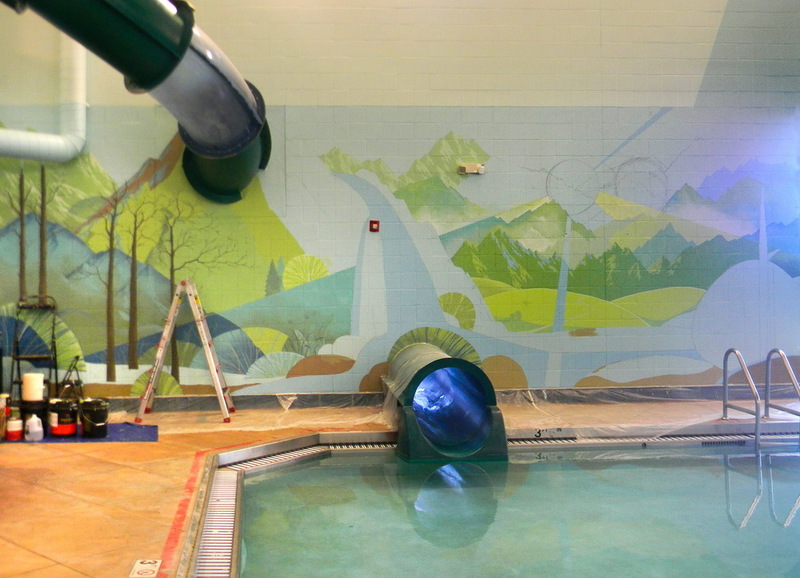 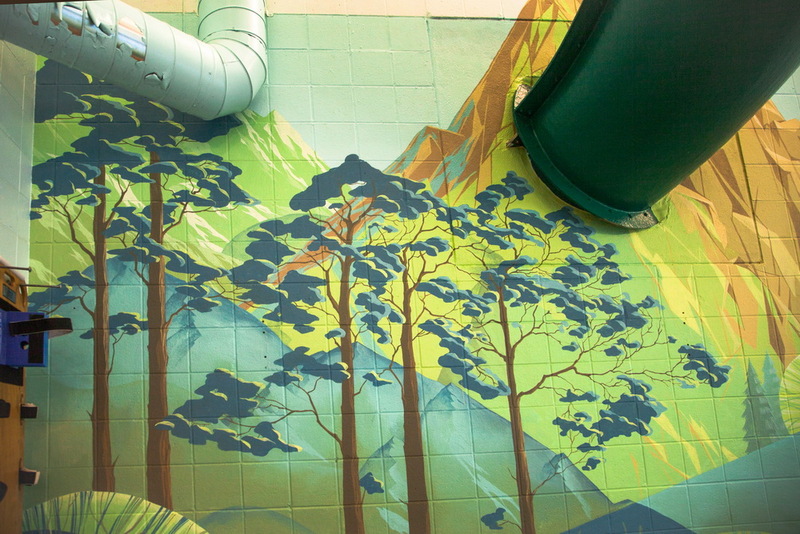 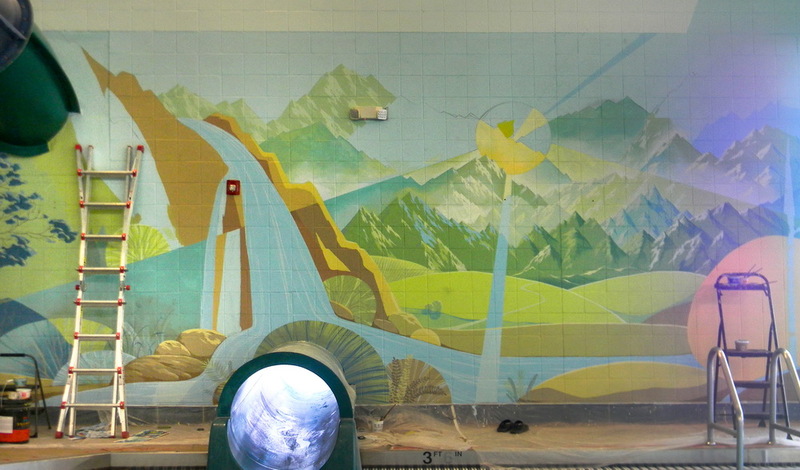 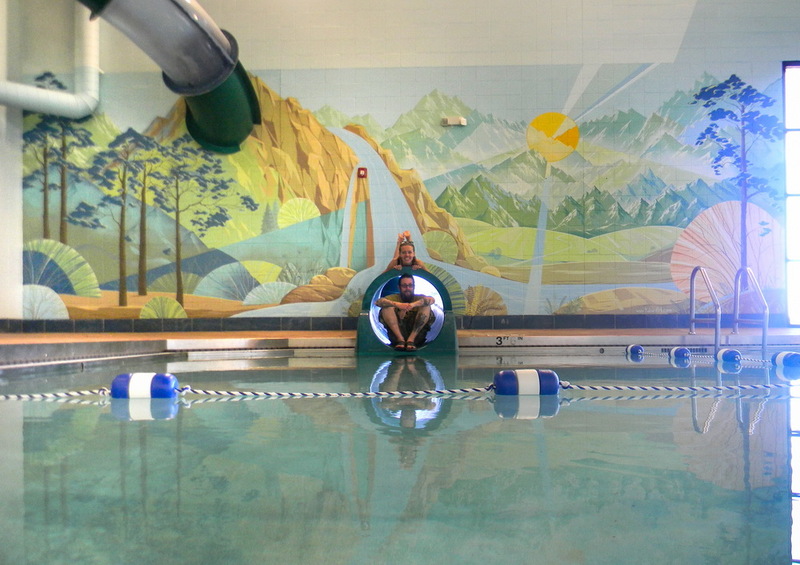 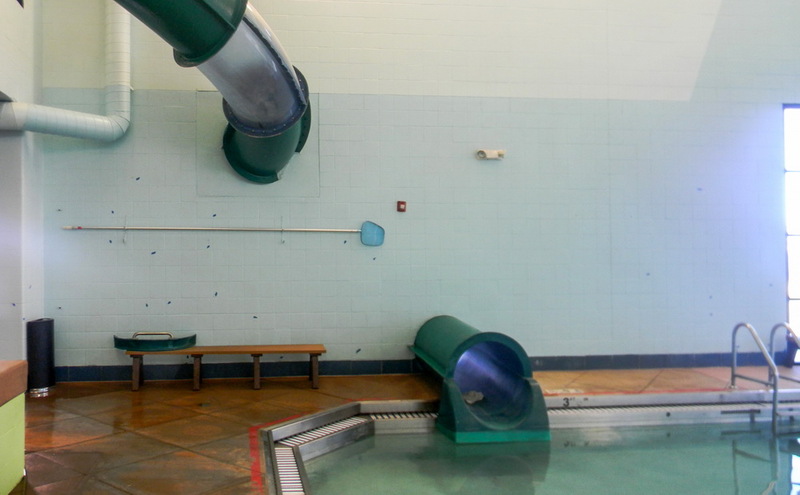 The view of the mural from the center floor, where the entrance into the water slide is located. 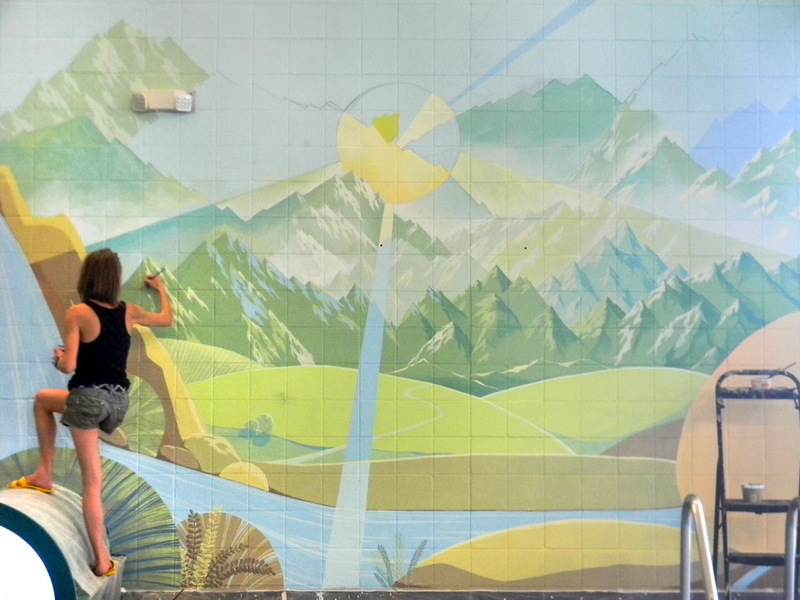 We’re enjoying the finished mural. 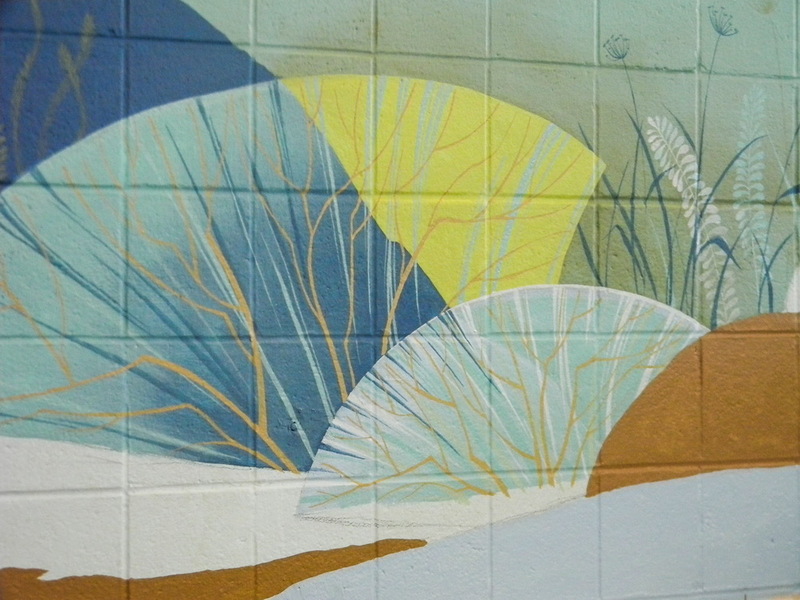 The wall before and after the mural.